If I become a US citizen, will that hurt my son’s pending employment-based I-485? QUESTION: My son has a pending employment based I-485 application, which was filed in 2007. The priority dates are not current. I have a green card and I had my citizenship interview last week. When I become a citizen, will that affect my son’s I-485? ARI SAUER THE IMMIGRATION ANSWER MAN: Having a close relative become a US citizen should not have any affect on a foreign national’s employment-based application for adjustment of status (I-485). In fact, a foreign national is able to have more than one immigrant petition pending at the same time. For example a foreign national can have an employment based immigrant petition (I-140) in the third preference (EB3) and and a family based petition (I-130) filed by their US citizen parent (F1 – where child over 21) pending at the same time. schedule a consulation appointment with an immigration lawyer. 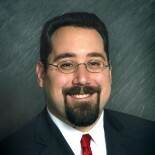 See immigration attorney Ari Sauer’s full bio. Join The Immigration Answer Man – Ari Sauer Facebook Page. * This is an advertisement. Ari Sauer is an attorney with the Siskind Susser law firm. www.visalaw.com/ari.html. On this blog we answer questions as a service to our readers, but we cannot assume any liability related to reliance on anything herein, and responses to questions are not intended to establish an attorney-client relationship. Immigration laws and regulations are constantly changing and the rules stated may not apply to your situation. Readers are cautioned to schedule a consultation with an immigration lawyer before acting on anything stated in this blog. This blog is not intended to substitute for a consultation with a qualified immigration law attorney. Ari Sauer is licensed to practice law through the states of New York and New Jersey. Certification as an Immigration Specialist is not currently available in Tennessee, New York or New Jersey. Siskind Susser limits its practice strictly to immigration law, a Federal practice area, and we do not claim expertise in the laws of states other than where our attorneys are licensed. This entry was posted on June 19, 2012 by Immigration Lawyer Ari Sauer - The Immigration Answer Man in Uncategorized.